Take your time and shop around for the best deal there are excellent coinshooters on the market designed to give you many years of enjoyment. How to buy a new or used metal detector, learn how to operate a metal detector and become a professional treasure hunter. Choosing your first machine can be very confusing, take good advice and start your metal detecting hobby the correct way. 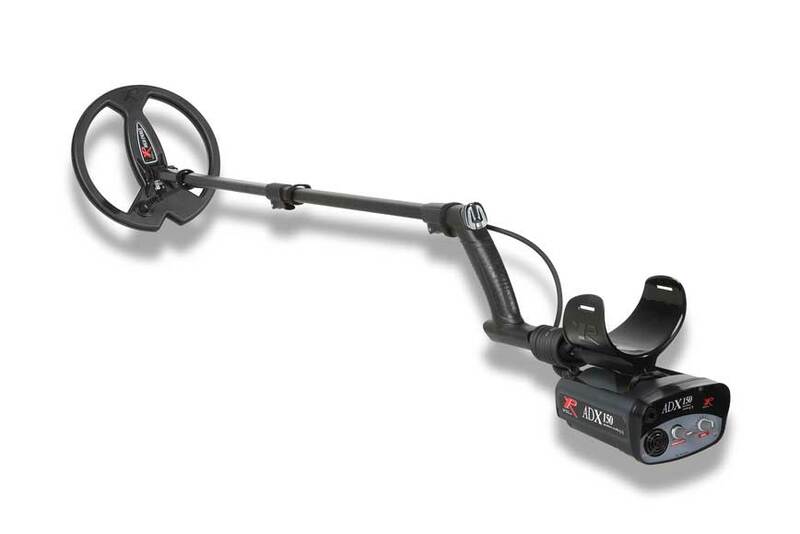 What is the best metal detector to buy for beginners ?.....good question the metal detectors recommended on this page are popular starter units and suitable for beginners of all ages. A good dealer will help you set the machine up and give you all the advice needed to get started, it is considered very rude in the metal detecting circles to buy a machine from one dealer then contact another asking how to operate your new machine... you may have questions such as what does the discrimination do on a metal detector, what is the difference between a concentric and a widescan coil, or how deep will a metal detector detect, so remember you need to ask these questions to the person selling you the machine....a good metal detector dealer will always offer you the best after sales service. Once registered beginners are more than welcome to post their metal detecting questions providing it is not about Chinese machines they have just purchased from E Bay. 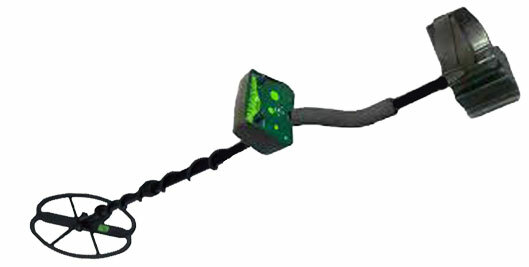 Also take a look at my metal detector frequently asked questions page. Please please please remember £25 will not buy a metal detector it will buy you a non functional toy...If you are serious about metal detecting be prepared to pay £250.00 minimum this will get you started in the right direction. Many people ignore this advice and to be honest I did to many years ago...It's only when you own a good functional detector you finally realise how profitable and enjoyable metal detecting can be. Personally I don't search beaches so I can not give you advice on that subject. Where am I likely to search ? : Inland or Beaches...most machines will work on dry sand but very few on wet sand. Who will be using the machine ? : If it's a youngster or someone with poor strength look for a light weight model. Do I require a meter id machine ? 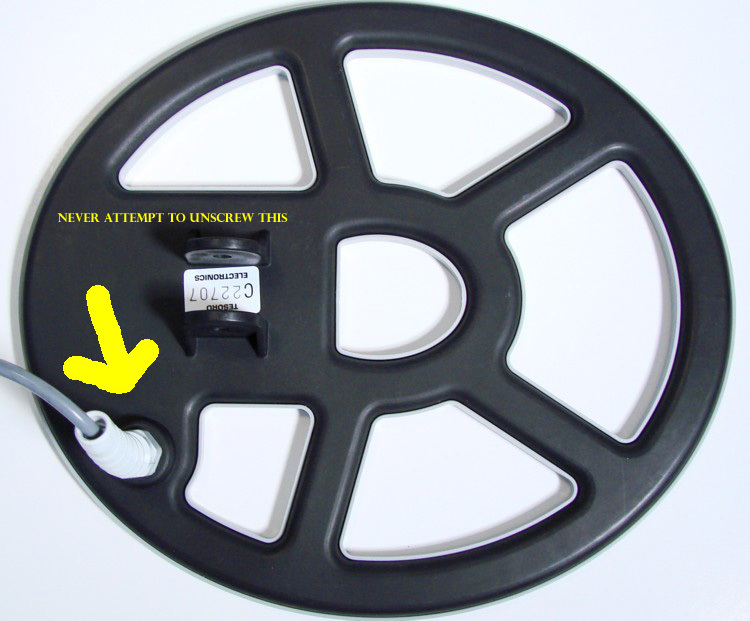 : Meters are not very accurate, they will not find you more targets in fact they may loose you targets due to false identification.....A pull tab has the same conductivity as a gold ring. What is my maximum budget? I would say a good serious starter price would be in the region of £250-£500 for a new machine with a warranty, you will also need to buy headphones and a digging tool, £150 is not enough...sure you will get a machine with some bells and whistles but there is a good chance it will be manufactured in China and sold by an American company, you really do get what you pay for in this hobby. Will dealers give me unbiased advice ? : They can do...however as with any business it's business...they will like to sell you the machine that gives them the most profit and can very often slate the models they don't stock. How deep will a machine go ? : Never ask the question "how deep will it go" it is a question that can not be answered easily. There are so many reasons why depth can not be measured correctly...for example a 20p coin in air at 12" will probably equate to 7" in the soil (depending on the soil) how the coin is lying etc, a large search coil will not necessarily give you more depth only better ground coverage, also some machines are designed to find small targets better than others and some are more biased to bigger targets. One thing worth remembering is a machine that performs poorly in air will almost certainly perform badly in the soil, don't believe people that tell you a machine will work better in the soil it's simply not possible !! Will I get unbiased advice from metal detecting forums ? : Again it's a grey area...lots of people sitting behind keyboards with time on their hands using false names is never a good place to hang out ! some forums these days can be very biased.... Good posts about the competitors machines can be deleted at source...only the bad posts get published.... enter with caution !!. One point worth remembering is machines costing £500 perform every bit as well if not better than machines costing £1000 so don't get caught in the big money trap...although you will look very important you have better or deeper finds, just a bigger hole in your pocket and loose more money when trying to sell. In a nutshell if you are serious about the hobby and have a limited budget look out for quality names like Deeptech, Tesoro, XP, Minelab, Whites or Laser. Don't go for fancy...go for practical. Here for example is a very good machine the XP ADX 150, easy to use and perfect for beginners, I have this machine for quite some time, whenever I take someone new to the hobby out detecting they always use the XP ADX 150 to ensure they thoroughly enjoy their days metal detecting. Visit the XP Classroom for more XP metal detector information. When you buy your new machine, please don't make this simple mistake so many people make. 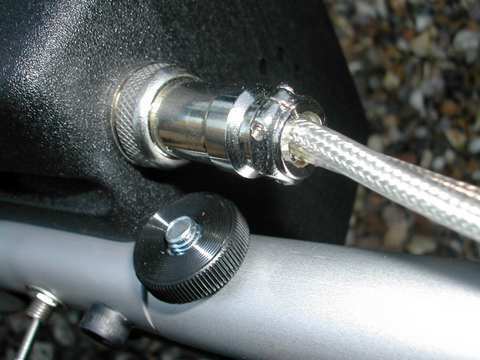 Never attempt to remove the pig tail from the coil...Ok it looks like it can be unscrewed but a slight turn will rip out the coil wires from the sealed resin and cost you a lot of money as this will not be covered by warranty. The picture on the left shows the pig tail, the picture on the right shows the correct place to remove the coil below the control box *note some machines have the coil "hard wired" so they can not be removed from either end. How to buy a new or used metal detector" and "how to operate a metal detector"
Choosing your first machine, how to start detecting for the first time. Garys detecting.co.uk - Offering a wide range of metal detecting information including detector field tests and reviews. 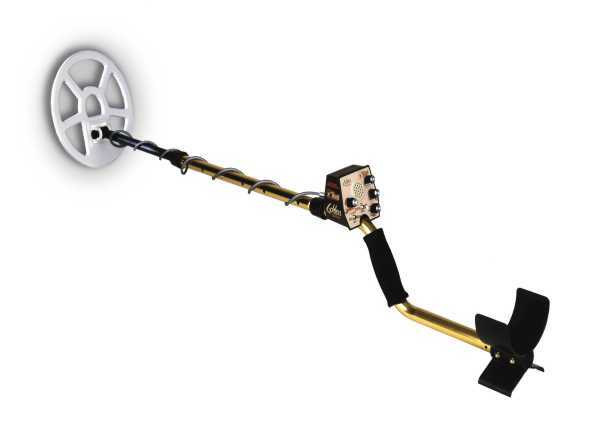 buying a new metal detector has been designed and created by garysdetecting.co.uk © All rights reserved.